Get your rental Quote today! 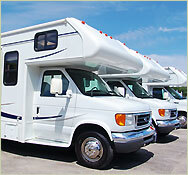 Get a Quote for your Motorhome today. Hier koennen Sie sich eine aktuelle Online Quote erstellen lassen. We promise never to sell, rent, barter or share with any third party personally-identifying information collected during your use of the site. Ihr USA Camper RV Team - we love camping! Bitte beachten Sie folgende Mietbedingungen! We are closed Sundays and on public holidays (incl. Memorial Day, ndependence Day, Labor Day, Thanksgiving, Christmas and New Years Eve).